Americans consume almost 50 percent more sodium than what most experts recommend. 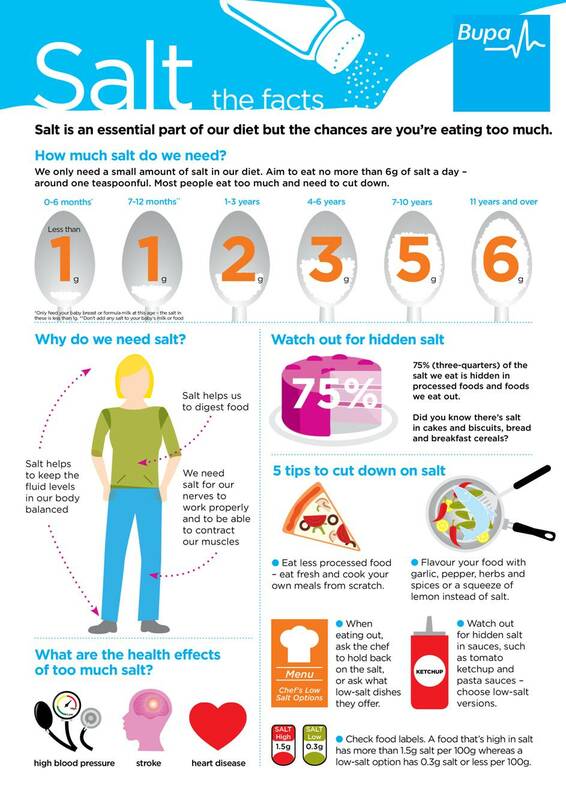 The average American eats roughly 3,400 milligrams of salt daily, equivalent to roughly 1½ teaspoons. The FDA’s recent guidelines suggest no more than 2,300 milligrams of salt per day, while the American Heart Association recommends getting at least 1,500 milligrams per day. Per FDA: One in three individuals has high blood pressure, which has been linked to diets high in sodium and is a major risk factor cause of heart disease and stroke. That number climbs to one in two African Americans and even includes one in 10 children aged 8-17. While a majority of Americans reports watching or trying to reduce added salt in their diets, the deck has been stacked against them. The majority of sodium intake comes from processed and prepared foods, not the salt shaker.